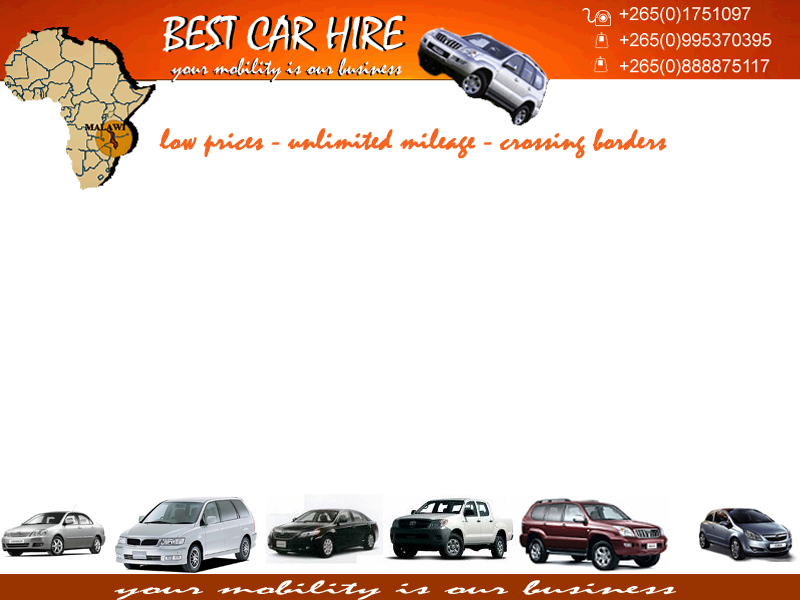 Best Car Hire is situated in Lilongwe - Malawi. Many people hire a car with us for travelling through Malawi and Zambia. We have a reliable fleet of cars and offer good service, so you are assured of a comfortable and safe journey to any part of Malawi or Zambia. On request we can also deliver a car with a driver. Contact us for more details. We can take care of all your transfers.